Research has shown that the amount of time students spend actually reading makes the biggest difference to their success as readers. That is why most teachers provide at least some time for independent reading during the school day. 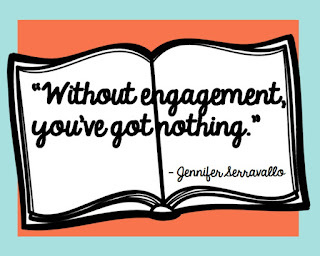 But, what do we do when students are not engaged readers?? This goal is for those students. * Engagement Inventory (basically a kid watching tool). When you use one of these, you spend time carefully observing your students. You note what you observe during an entire independent reading period. Your looking for things such as when students react to the text they are reading, when they become disengaged, and if they finish one book before looking for another one. I often use this at the beginning of the year when I am just getting to know my students. It helps me know which kiddos already LOVE reading and which ones need a little more help in finding the right books to hook them in. I also will periodically use them to check in and look for growth and also potential problems that may arise throughout the year. Sometimes a once voracious reader will have difficulty choosing new books to read, and I want to know when that happens so I can help them find their next favorite book. 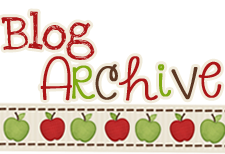 * Book Logs - Now I know that there is a bit of a controversy when it comes to book logs. 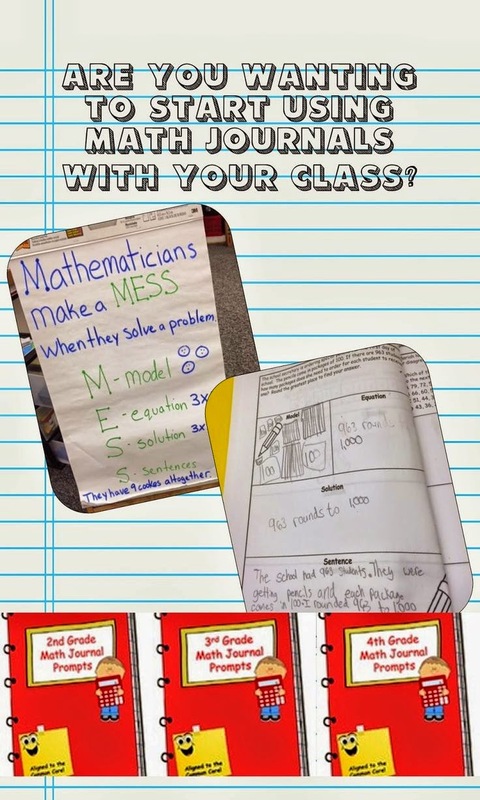 I agree with the way that Jennifer Serravallo uses them. I don't believe in punishing a child for not completing their book log or adding an unnecessary extra step in the reading process, but I think when they are used as a tool BY the child they can be invaluable! When you conference with a student, you can help them find patterns in their reading. Where are they when they read the most (school or home)? What types of books do they love reading? I also love using them to show the student their growth as a reader. You can point out to them how at the beginning of the year they could only read for 10 minutes at a time, but now they can read for 20 minutes. Or perhaps they were reading only non-fiction books, but now they have a mix of both fiction and non-fiction. She also has one for Levels L and above here. Here is a free interest survey that I have my students complete at the beginning of the year for just this purpose! 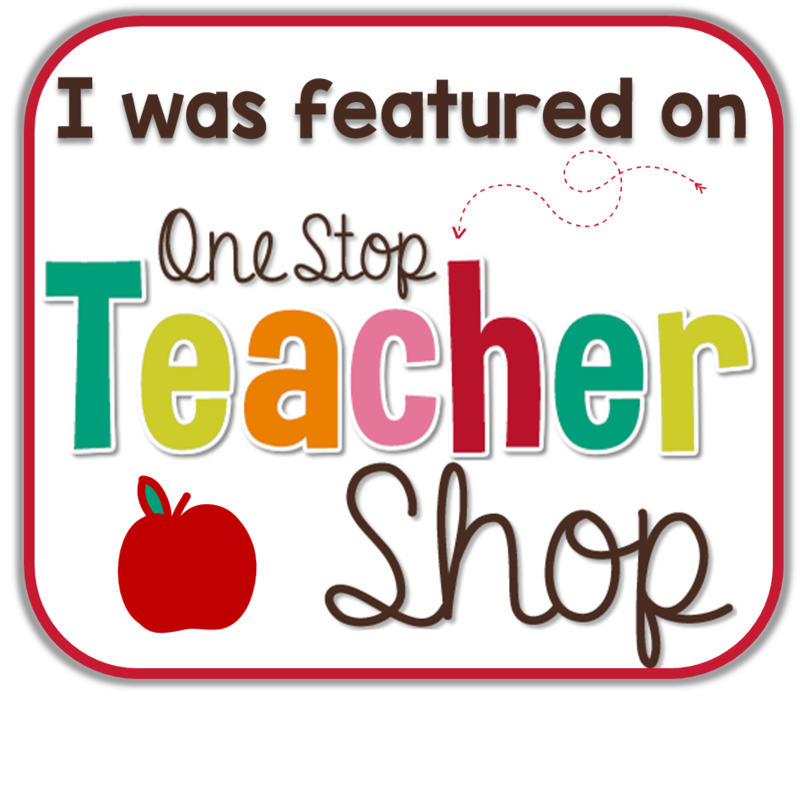 You can find Serravallo's K-2 interest inventory here. You can find Serravallo's 3-6 interest inventory here. I use this strategy as one of my back to school lessons. 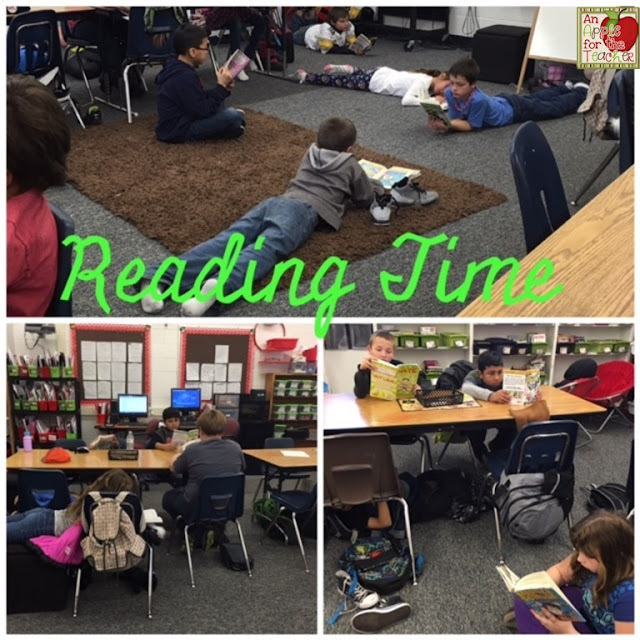 During independent reading, I let my students sit wherever they feel most comfortable reading. This is a great lesson for helping students think about where they will be most successful. 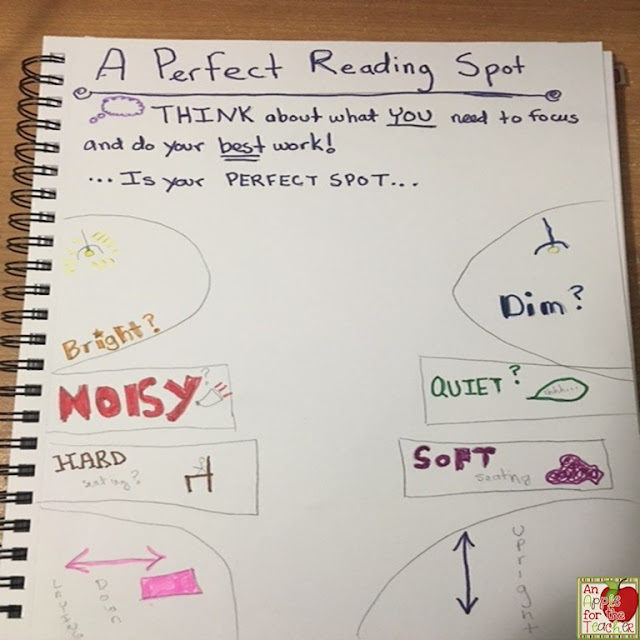 In this strategy, Serravallo recommends talking with the students about choosing the best spot to read. Different people work best in different environments. Ask the students to think about that spots work best for them. When I initially use this lesson with my students, I show them a large anchor chart similar to the one in the book as we have this discussion. Once we finish the mini-lesson, I ask them to put a sticky note (small post-it) with their name on the spot that works best for them. They would then go to that spot and begin reading. This is my re-creation of the anchor chart in the book for this strategy. I would use this smaller chart as a re-teaching piece if I had a student who was often distracted where they were choosing to sit. 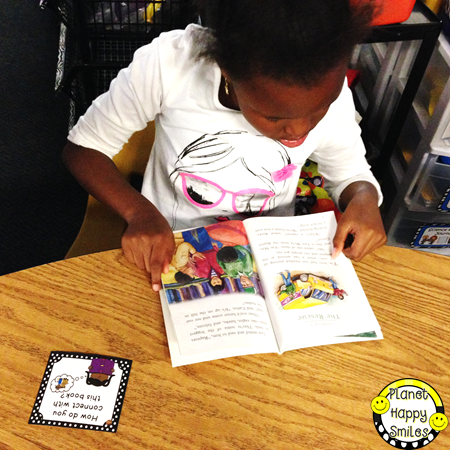 This strategy is a great one to use with students who are building their reading stamina. You tell them that one way to increase the amount of time they read is by setting a goal for themselves. For example, if a student was only able to read for 4 minutes when you conducted the engagement inventory, you might work with them to set a goal to read for 5 minutes. You would have them set a timer for 5 minutes. When their timer goes off, they may stand up and stretch for a minute, and then they go back to another session of reading. I love that this is a tangible way for the student to see their growth. Another way that I have implemented this is by having the student place a sticky note in their book with the goal to get to that spot in the book before they stop reading. Sometimes students find it challenging to pick a book that they want to read. 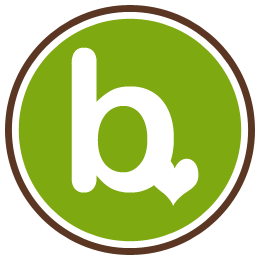 This strategy gives them a way find a new book by using websites such as: Amazon, Goodreads, or BiblioNasium. You have the student type in a book that they have already read and loved, and they see what recommendations pop up. I absolutely love the tech and real world aspects of this strategy. Adults do this all the time! 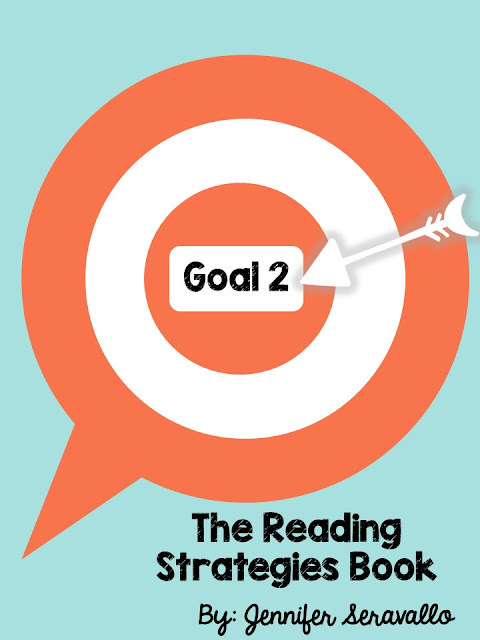 Hilda from M&M Bilingual is officially hosting goal 2 over at her blog, so make sure you head over there to see which strategies she chose to share! While you are there, be sure to leave some comment LOVE! If you would like to link up your own blog posts about this book feel free to do so in the linky below! When Michael Matera first started gamifying his class, his initial goal was engagement. He wanted his students to be excited, and he wanted learning to be playful again. He says that he soon learned that the result was more than engagement, his students had become inspired learners. We could all use a few more inspired learners in our classroom couldn't we? How did he do it? Purpose Driven Learning. 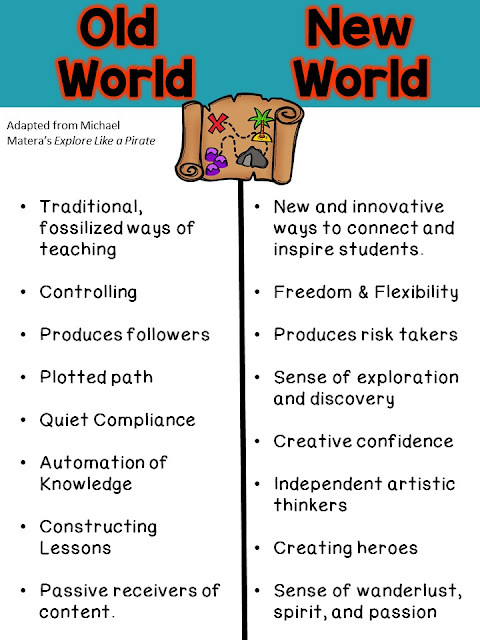 Matera says these ten words have forever changed the way he talks with students, and they continue to be at the core of his gamified classroom because they lead students to take personal responsibility for their learning. This purpose-driven learning language is a common language that both the author and his students use in the classroom to define and discuss classroom norms and goals. He says these words hang in his classroom as a reminder that this is their measurement for being the best version of themselves. He uses these words daily in conversations and even in report card comments. Instead of talking about grades, his students talk about the power of curiosity, resilience, focus, effort, etc. Students are encouraged to think about their own growth and the students take actions to improve their results, and their learning. His students no longer make meaningless statements such as " I should work harder" instead they use these words to make power statements. I am in love with the idea of using these ten power words. Not only for this idea, but for vocabulary building, social emotional learning, and so much more. I will be making a set of these words to hang up in my classroom and will have a FREEBIE available for you soon! I must say I was definitely surprised to receive this lesson in a book about gaming! I am excited to dig in deeper and see what more is in store! Be sure to follow along with us! I know that for some teachers, talking about preparing for next year is blasphemy, while for others it is music to their ears. Either way, I have gotten together with a few of my blogging besties to make sure that you are prepared! 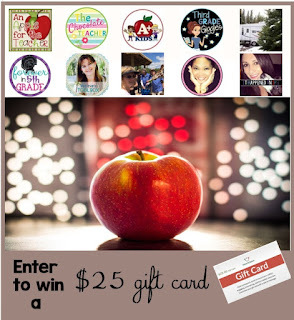 We are each giving away one of our top-selling TpT items - the best part? 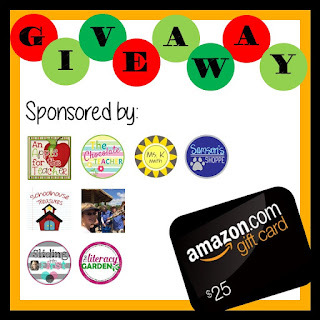 You can enter as many of these giveaways as you would like! There will be 4 winners (one for each giveaway) in all. 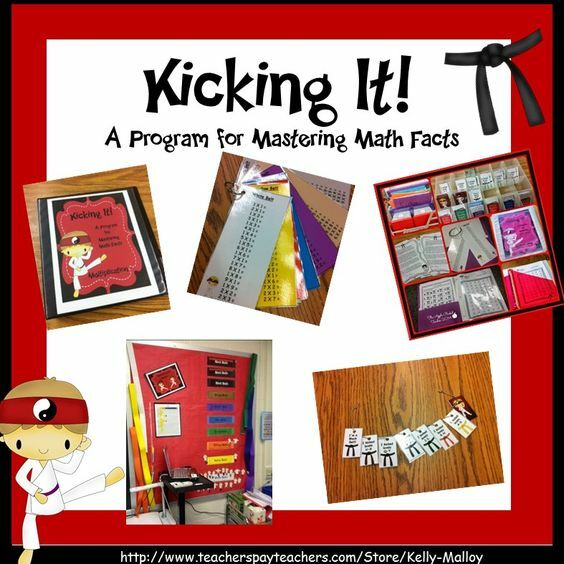 I am giving away my number one selling - Kicking It Math program. 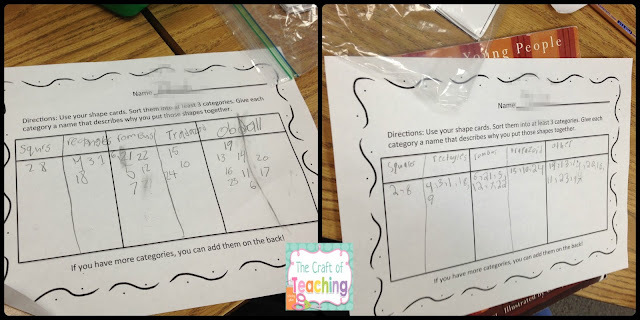 Although multiplication is the top seller, I will let you choose the version that you want if you win (multiplication, division, addition, subtraction, or factors). You can read more about it here if you would like. 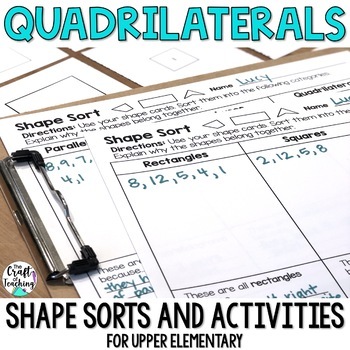 Nichole from The Craft of Teaching is giving away her number one best seller, Quadrilaterals 2D Shape Sort. 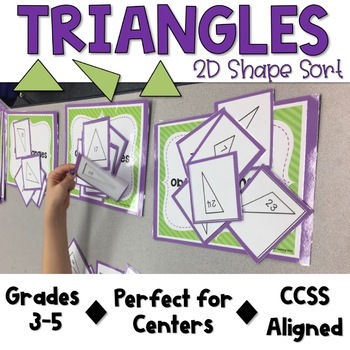 There are several different ideas for how to use the shape cards, as well as the Common Core State Standards that the activities can align to for third, fourth and fifth grades. 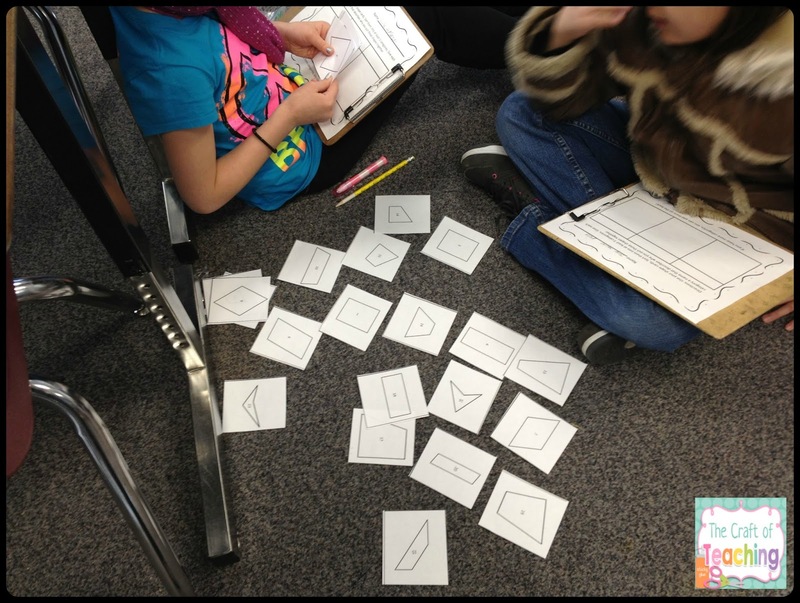 Graphic organizers are provided which can be enlarged to use with the cards or used as-is by using the numbers. 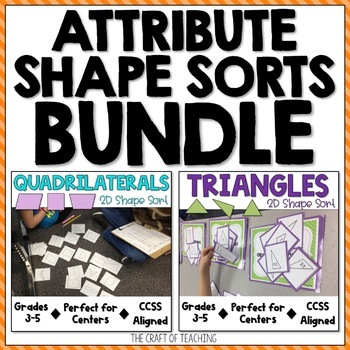 Nichole also has a triangle sort available here. or the Bundle which has both items here. 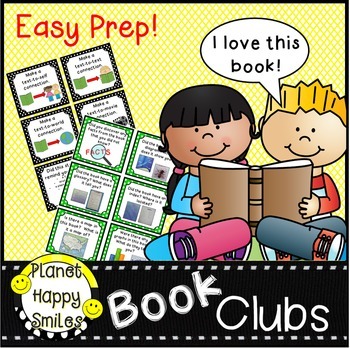 Next up is Karen, from Planet Happy Smiles who is giving away one of her top sellers, her Book Clubs product. Book Clubs are a GREAT way to extend your students learning! 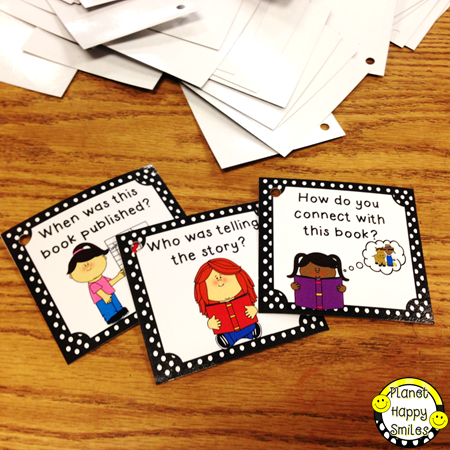 This set of 60 book study discussion question cards will help guide your students during their "Book Clubs". 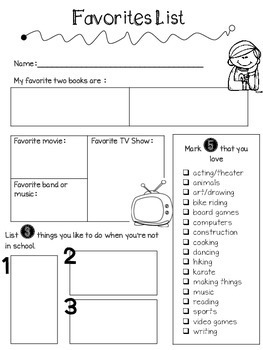 They also added a "Book Club Journal" to help your students record their ideas! There are picture clues on each card! It helps make them user friendly for the younger readers! 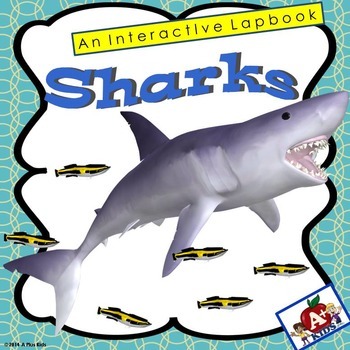 Last but not least, just in time for Shark Week, Kathleen from A Plus Kids is giving away her Sharks Interactive Lapbook. 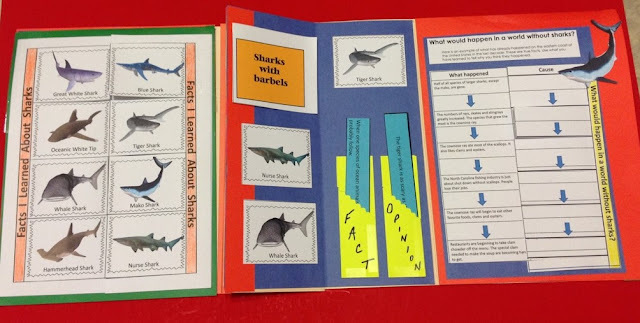 Use interactive materials and informational text to create fun, fact-filled lapbooks about sharks and how they live. 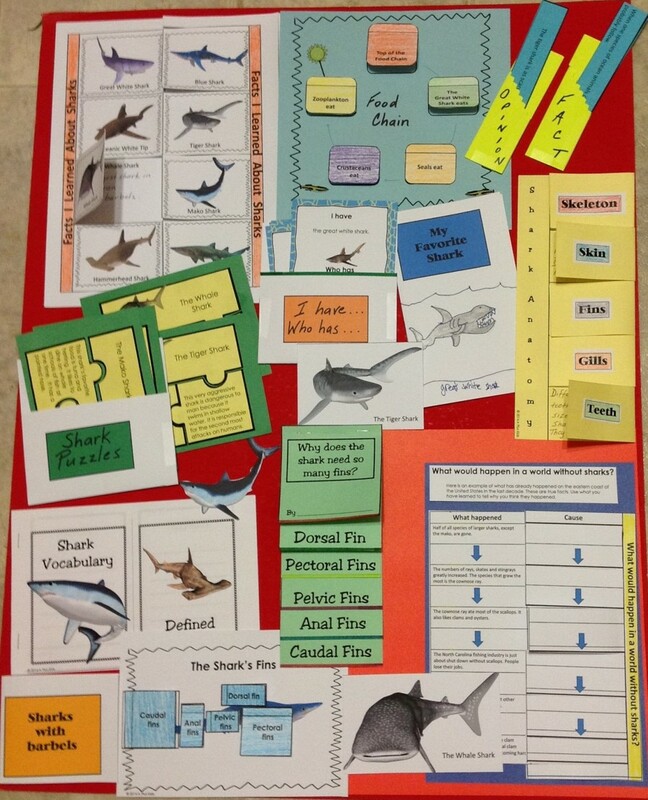 Your kiddos will learn about sharks and their environment and then use the information to take notes and document facts in the shutterfold, diagrams, pockets, flipbooks and foldable notes included in this dynamic resource. This resource contains general information about sharks and concentrates on the following eight sharks: the great white, blue shark, oceanic white tip, tiger shark, whale shark, hammerhead, mako, and nurse shark. In addition to the interactive materials, this teaching tool includes informational text, student-generated vocabulary books, fact or opinion cards, a crossword puzzle, and 32 “I have, Who has?” activity cards. Don't forget to enter ALL 4 of the giveaways to win each prize! And stay tuned in the upcoming weeks for more product giveaways to get you ready for next school year! I also LOVE this Summer Manifesto written as a poem by Andrea at Hula Seventy. As I read it I thought, this would make a great writing lesson if I was teaching summer school or year round school. My wheels started turning even more and I thought, I could have my students write a School Year Manifesto as a back to school activity! If you have any thoughts or ideas about this I would love to hear them! Would you like to create your own summer manifesto? I have a blank template for you below. Just right click it, save as a jpeg, and add your own text boxes to it. If you create one and post it on your blog or other social media account I'd love for you to share it below using the linky widget. 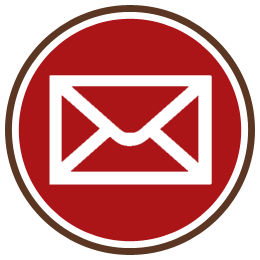 Please link directly to your post vs. your general blog link. 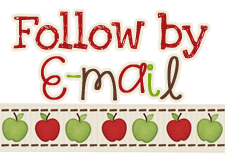 If you link up, be sure to comment on at least 3 other blog posts! 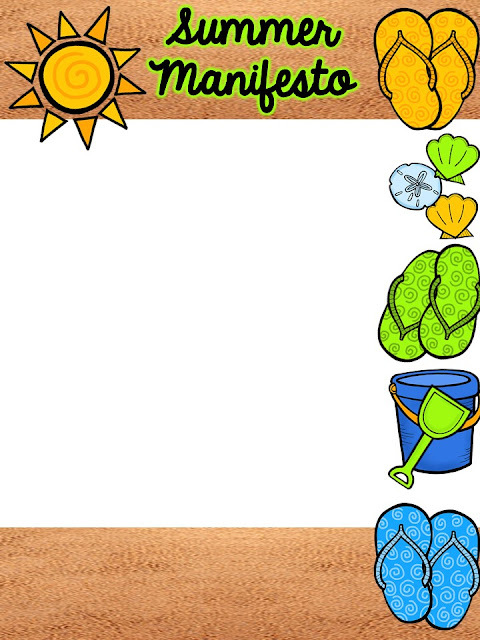 If you are struggling to write your own Summer Manifesto, this post by Simple Scrapper might give you a starting point. My friend Kelly from Digging Deep to Soar Beyond the Text asked me to make a version of this product for her to use with her students! As you can see, they came out AMAZING! I loved the idea so much, I decided to make a freebie for you to use as well! You can download it here. Because this book isn't your typical professional development book filled with individual "chapters" of narrative, each teacher blogger will be giving you a glimpse into the 13 goals that are represented in the text. Each goal area is filled with many valuable strategies that will help you to support and guide your students as they become better readers. Keep in mind we are only highlighting a FEW strategies in each section, there are 300 strategies in the whole book. One of the things that I love about this book is that it supports a wide range of readers. I don't know about your class, but my students always seem to come to me with a wide range of abilities. As a 4th grade teacher, my class last year had students reading at the Pre-Primer level all the way up to high school level readers! 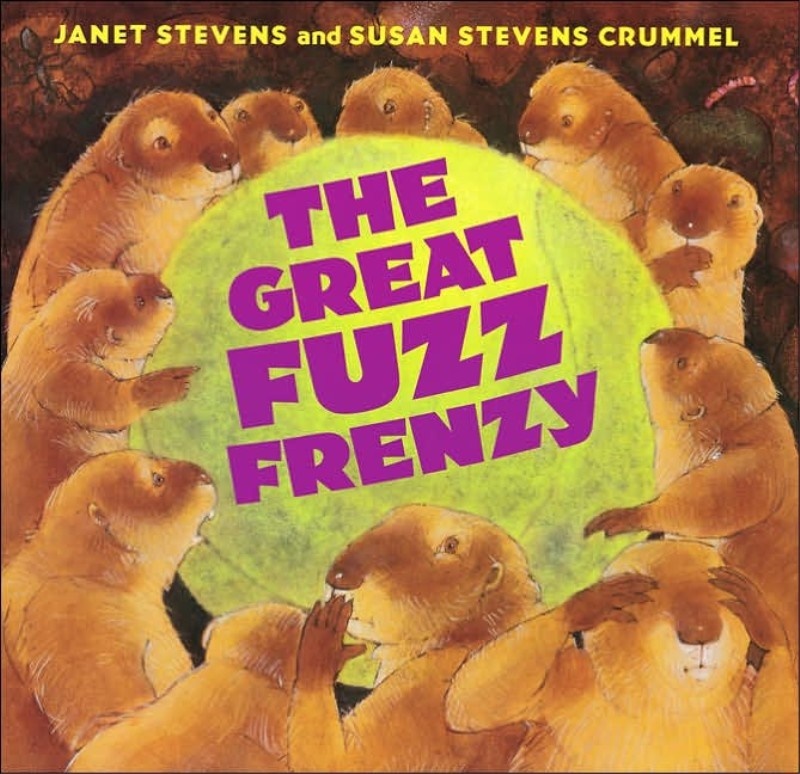 This book can support them all! I also want to point out, that I believe in "teaching the reader not the level". Sometimes students may read at a certain level, but be missing some key skills and strategies. That is one of the beauties of using strategies, you can work with multiple reading levels often at the same time. 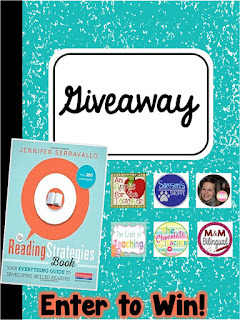 Even before reading this particular book, I have been a huge Jennifer Serravallo fan! I own most of her other books and I regard her as one of the best literacy consultants out there! I love that she shares her expertise so eloquently, and in such a user friendly way! 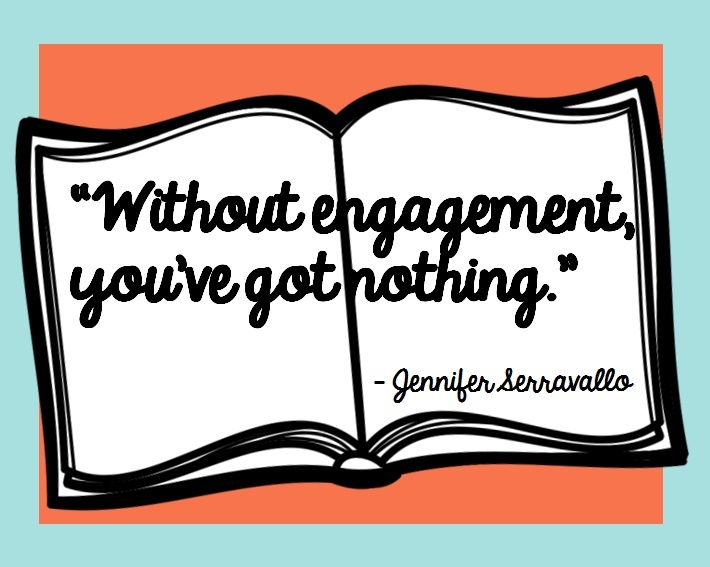 You can watch a video of a strategy group with Jennifer Serravallo in action here. We are going to go through the goals in order, so we will be starting with Goal 1: Supporting Pre-Emergent and Emergent Readers. 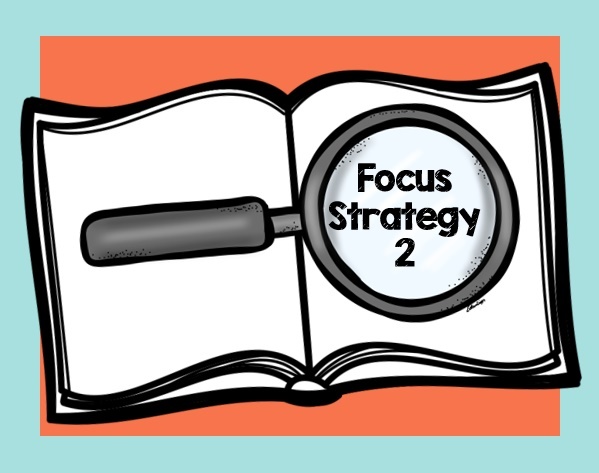 In this section, there are twenty strategies given to support your most beginning readers. I have a picture below of the strategies listed in this particular goal from the book. 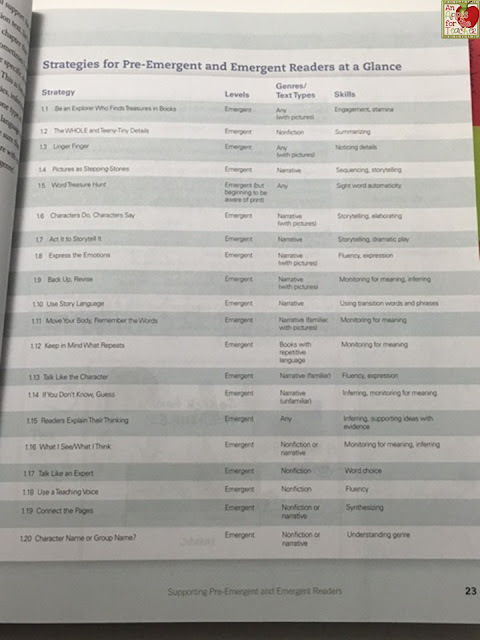 As you can see, Serravallo includes the strategy title, the level the strategy is appropriate for, the genre to use the strategy with, and the skills the particular strategy help to develop. I have picked three of these strategies to focus on. I chose to focus on this strategy because although it is listed as a strategy for emergent readers, I think it would make a great introduction to main idea and supporting details for your older readers. I find my students really STRUGGLE with this skill, and this is a great way to engage them into the idea of the parts that make up the WHOLE. "Say, 'This whole page is about...'"
and "Now zoom in on a small part. Say what you're learning." I think these really give a concrete representation to what main idea and details are about. This is another strategy that can easily be applied to older readers. One of the 4th grade reading standards, RL.4.3 asks students to describe in depth a character, setting, or event in a story or drama, drawing on specific details in the text (e.g., a characters thoughts, words, or actions). 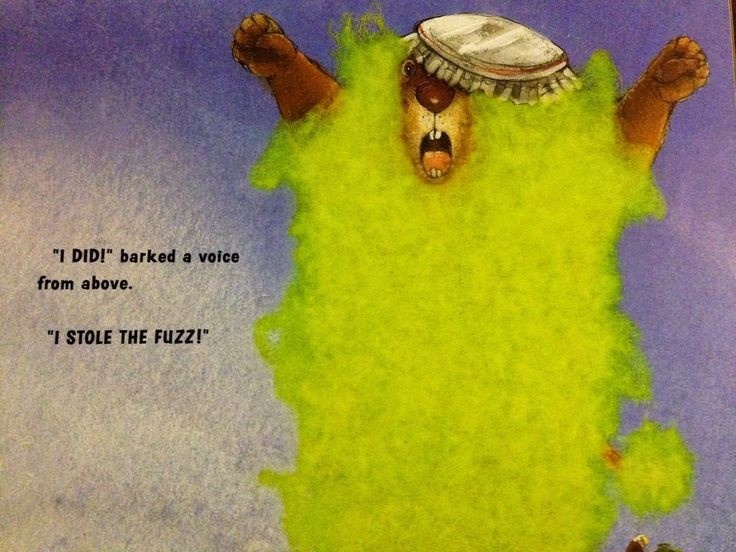 This strategy asks the reader to look at a picture book and tell what the character is doing and what she is saying. 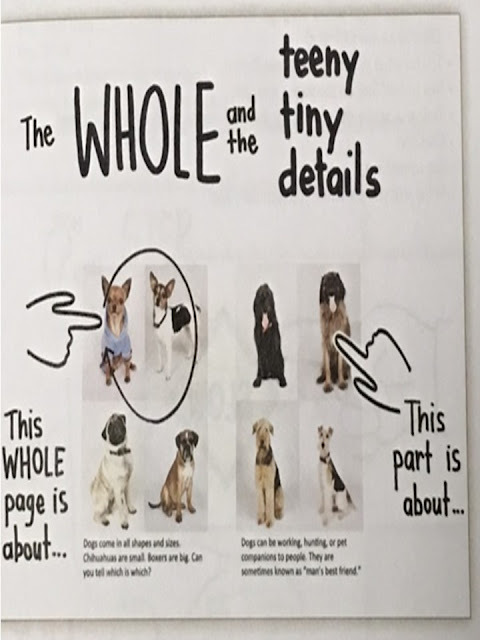 In the particular example that Serravallo uses in the book, the character doesn't say anything on the first page, so she actually infers what the character might say. 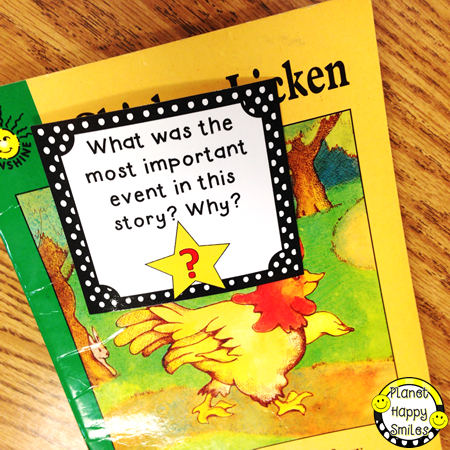 Making inferences is another skill that older readers often struggle with as well. 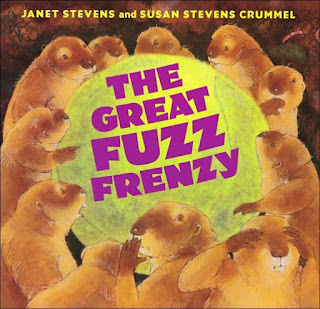 I love the book The Great Fuzz Frenzy, and I have used it for similar lessons to this one. There are a lot of great illustrations that you can show your students and ask them to describe the character based on what they are doing, saying, and thinking. Make sure the students give you evidence to WHY they answered the way they did. My students absolutely LOVE this strategy. They love having the chance to act things out and ham it up a bit. In this strategy you ask the student to use their "face, body, and voice to bring the story to life." You might use the book The Great Fuzz Frenzy again, specifically the part where Big Bark says that he stole the fuzz (pictured above). You might read the words without showing the illustration and ask your students to act it out. Then show them the illustration so they can compare their actions to the ones imagined by the illustrator. Many students, particularly those who struggle with comprehension have not figured out how to "make a movie in their head" as they read. This strategy is particular helpful in having them slow down and really picture what is happening in the story. If you would like to purchase the books mentioned above, you can find them here. Don't forget to check back next Thursday with Hilda from M&M Bilingual who will be hosting goal 2! This chapter is titled: New World, Old World, and is essentially a comparison to the old ways of learning with the new ways of learning. 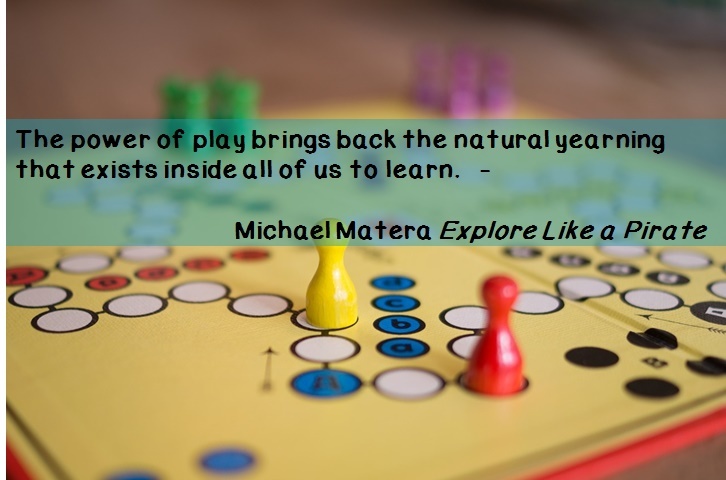 Michael Matera says that his passion for gamification stems from his belief that "we must continually discover methods to move away from the unbending, monolithic structures of education." What our grandparents' generation needed in school is not what the students of today need. As educators we must inspire our students to be self motivated learners. The author says the focus of standards, while important, is not what touches the soul of our students. He reminds us that we are not teaching standards, we are teaching students. Matera uses several mantras with his class. One of these mantras is: " Strive to do the extraordinary" He says that we live in extraordinary times, so why would you strive to be simply ordinary? He also tells them: "Life is about choices, so choose wisely." He encourages them to spend time doing things that will stretch their skills, and push them to try new things. I think this is great advice for everyone, not just our students! Since using gamification in his classroom, Matera says that he has seen an upsurge in the extraordinary within his students. I am excited to continue reading along to see the ways he puts this in practice! If you would like to join us on this gamification journey there is still time to link up. And just a helpful FYI, it's FREE on Kindle Unlimited right now! 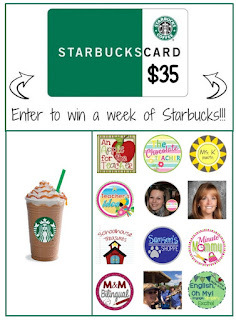 And don't forget to enter the current giveaways I have going on right now!